Self-employed business owners can produce some great work while staying at home. Business software solutions often focus on somewhat larger enterprises, but don’t worry: There are plenty of home business accounting software solutions focused on keeping track of the one-person show. Whether you’re a freelancer, consultant, artist, or creator, there are plenty of home business software options just for you! Zoho offers several different products, one of which is amazing bookkeeping software. It’s considered to be an all-in-one solution to help your business grow, including CRM sales databases, email features, project management tools, and accounting functions. Zoho Books is the online, cloud-based, mobile solution designed to help you track expenses, send invoices, and pull powerful reports. You can integrate it with many other popular apps, like PayPal, Square, Track1099, Dropbox, and more. Perhaps you’re merely testing the waters with your consulting or freelancing company and want to try some home business accounting software without breaking the bank. Luckily, many accounting services allow you to download a version of their software for free. But with Wave’s accounting tools, you get to use the software for absolutely free. It’s not a trick; it’s $0 per month, and there’s no sneaky price hike later on. Are you an entrepreneur who is very mobile? If so, try the fun, easy-to-navigate, easy-to-use FreshBooks. This cloud-based software can be used on several different kinds of devices and is loved by small and medium-sized businesses. With it, you can track time, send invoices, capture expenses, and pull lovely reports. We at Ignite Spot won’t be too insulted if you choose to use Less Accounting, the software for small-business owners who dislike bookkeeping. By making things excessively simple and user-friendly, this software offers a simpler alternative to QuickBooks. The program specializes in helping micro-businesses and freelancers, too. Pulse is another popular option, providing the tools to track expenses, income, and cash flow. This tool is best at forecasting growth data, providing a stylish and simple monitor of your micro-business’s overall financial heartbeat. Hopefully, this guide to micro-business account software will help you find a solution that will work well for your home-based business. If you need further accounting advice and help, feel free to contact the accountants at Ignite Spot. 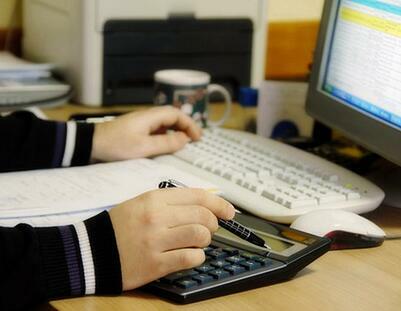 We’re an outsourced accounting firm that works with businesses both very large and very small! We can help you find a software solution that will work for you.